Meet Stetson! He is a 2 year old shepherd lab mix. This handsome man is good with kids and other dogs. He needs vetting, but that will be done prior to being brought up north. Shepherd experience is a must with Stetson. 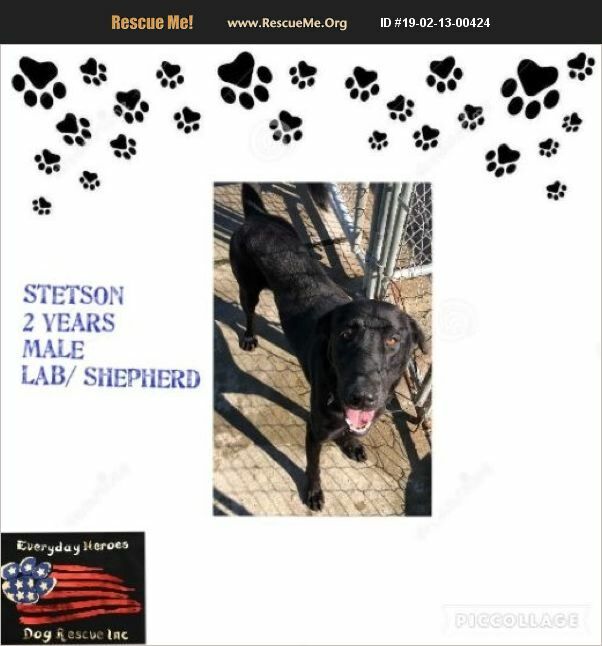 If you are interested in Stetson, please email us at everydayheroesdogrescue@gmail.com for an application.